The Registration window is for users to apply their valid license key. 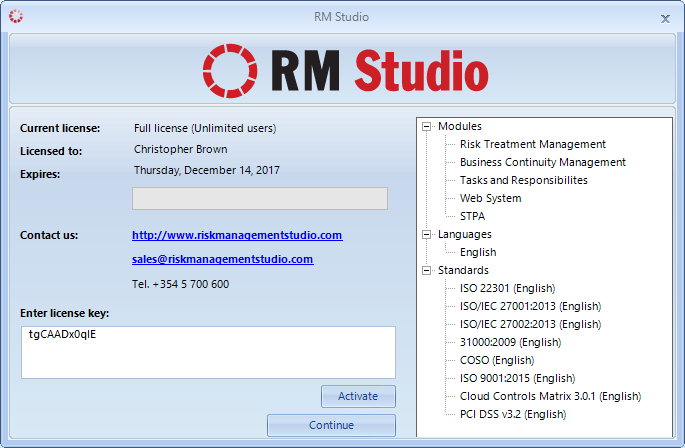 The license key is required for using RM Studio’s modules and standards chosen for deployment. Once you enter the license key and ‘Activate,’ a complete list of modules, languages, standards & controls, and other additional items will prompt in the dialog box on the right.